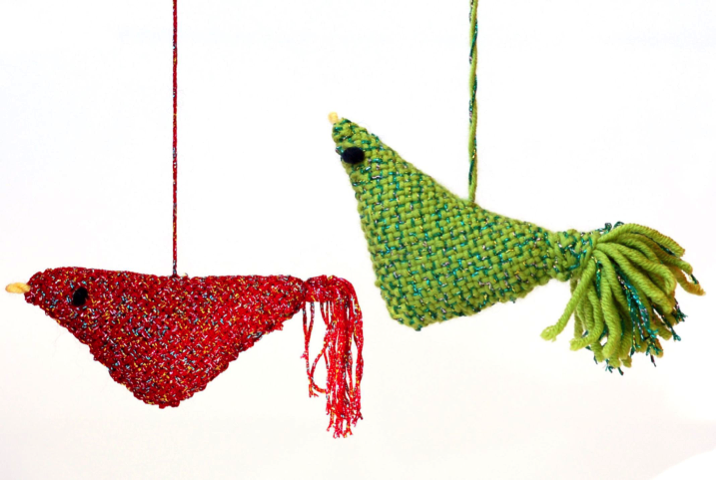 These sparkly birds are made using the Schacht Co. Zoom Loom. These darling Snow Birds are constructed using just one woven square and can be embellished any way you like. Sparkly red and green for the holidays as an ornament or gift embellishment, pink or blue for the baby’s nursery, you can have a flock; the possibilities are endless. Small and compact, the Zoom Loom is easy to take with you. Weave anywhere, any time. Tuition of $40 includes: 2 hours of instruction, the Zoom Loom ($40 value) a copy of the pattern, and all the supplies.